We share real cases with you, so that you can see the evolution of a case and the passionate way we defend and represent our clients. The following are some of our recent court cases. Names have been omitted for confidentiality reasons. Successfully obtained interim financial orders in our family law matter. The client was ecstatic! We went from the husband completely refusing to pay any mortgage repayments to paying ALL (2) accounts plus arrears, rates, insurances and any other incidental costs. Weekend bail court for a client with an arrest warrant for numerous offences against the Taxation Laws. Bail granted with only a residence condition. Winning!!!! 2 hearings, Thursday and Friday, 2 different clients, both DV related matters, both lots of matters dismissed ???? 2 very happy clients! Social worker applied for a financial management order against the client who is in custody. It was opposed for insufficient evidence. Application dismissed!! 3 co accused – take/drive conveyance. Client charged with being carried in the conveyance. Co accused got 7 months imprisonment. Client got a 12 month section 9 good behaviour bond without supervision. Client received a 4 month jail sentence (down from 12 months). Lodged the appeal to the district court and got bail today! Application made by case manager for client to be subject of a guardianship order and a financial management order. Both were dismissed ???? 3 legged appeal in the District Court today. Only has to run the first leg – client found not guilty and his conviction from the local court was set aside and he was released from custody. Now to commence action for malicious prosecution and unlawful imprisonment. Client had previously applied for bail on two occasions and was bail refused. Client came to me last week and asked me to represent him and we got bail in the ACT Magistrates Court ? We had a great win today at Windsor Local Court. We prepared the client for a sentence of imprisonment however following our submissions we obtained a community service order of just 100 hours! Great outcome today – we have been attempting to negotiate consent orders for some 5 months and at our first day in Court we were able to reach final orders. No more uncertainty or ambiguity for our wonderful client!!!! Client charged with possession of numerous firearms, drugs and weapons. 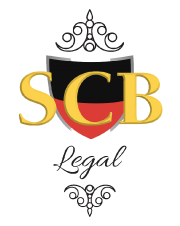 Client was originally bail refused prior to being represented by SCB Legal. We appeared today and ran another bail application. Our client was granted bail! Major sponsor for Brothers Under 10’s! ??????? ?